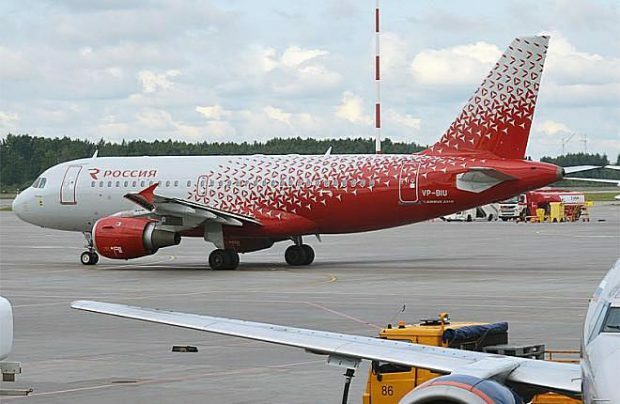 After a relatively slow May, Russia’s airlines have seen traffic growth rates pick up in June thanks, in part, to the FIFA World Cup finals, which kicked off in mid-June. According to state aviation body Rosaviatsiya’s preliminary report, the country’s carriers collectively transported 11.3 million passengers last month, up 9.4 per cent on the same month of 2017. In May, the growth rate slid to 8.7 per cent compared to 12 per cent in March and April, 10.9 per cent in February and 14.2 per cent in January. Rossiya Airlines (Aeroflot Group’s St Petersburg-headquartered carrier), the only airline from Russia’s top-five which had been suffering stagnation since the beginning of the year, reported a slight positive development in June. It carried 1.25 million passengers, 0.5 per cent more than the same month last year, but this allowed it to regain its second largest Russian airline status (for June) from a much faster growing S7 Airlines. The latter carried 1.13 million passengers, with the current top-five group record growth rate of 19.5 per cent. The growth rate at Aeroflot, the market’s undisputed leader, also climbed highest since the beginning of the year. The Russian flag carrier served 3.2 million passengers, up 9.6 per cent year-on-year (up from this year’s previous peak of 7.5 per cent registered in April). The fourth largest, Ural Airlines, carried 914,000 passengers, up 17.7 per cent year-on-year. Meanwhile, no data has been disclosed by Utair Airlines, which occupied fifth place in the top-five in the period from January to May, pleading to the possibility it has now dropped out of the top-five league. The collective first half-year performance of all Russian airlines reached 51.3 million passengers, an average growth rate of 11 per cent.